Did you deleted your photo files from Window PC? Do not worry about that it's a common problem now a days that who are using PC. 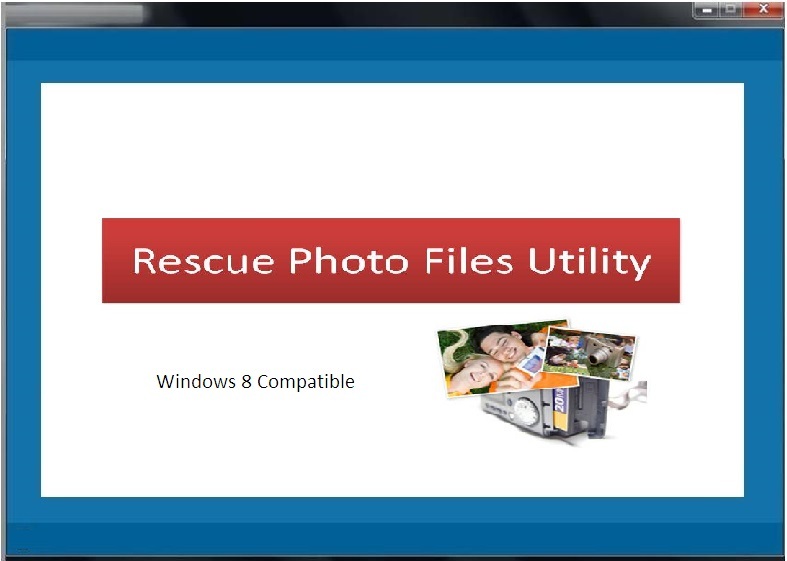 Here we are providing Rescue Photo Files Utility; it is used to retrieve deleted images from Windows XP, vista, 7 and 8. This recover tool retrieves JPEG, JPG, GIF, TIFF, TIF and RAW photo formats on all types of digital cameras. It supports recover more than 50 file types. It supports rescue images from NTFS, NTFS 5, FAT 16 and FAT 32 partitions. This tool recovers media files on hard drives, flash drives, pen drives, memory cards, external hard drives and iPods etc. Some of common reasons to lose your pictures on digital cameras are virus attacks, accidental deletion, due to sudden shutdown, file systems corruption, using third party tools like image editors etc, interrupts in medial of transforming data between two devices, mal virus and many more. These picture recovery tools not only recover pictures and also retrieve documents, audio and video files from formatted, partitioned and reformatted drives. Recover digital picture application retrieves digital RAW image formats like CR2, CRF, SR2, X3F, DNG, ORF, MRW, 3FR,NEF, ARW, KDC, DCR and K25 many more. Here we are providing a demo form to Rescue Photo Files Utility; users use this tool and recover deleted items once you feel good about performance then go for full version. This recovery tool providing 24*7 customer care support you have any problems or issues and installation problems about this tool contact our customer care people.